Hey hey! Happy Wednesday! I have had this vest for at least a year now and it’s one of those neutral pieces that I can literally grab and throw on over anything. It looks great with flowy short dress as well as jeans. Not to mention that it is super warm because of the faux sherpa lining. 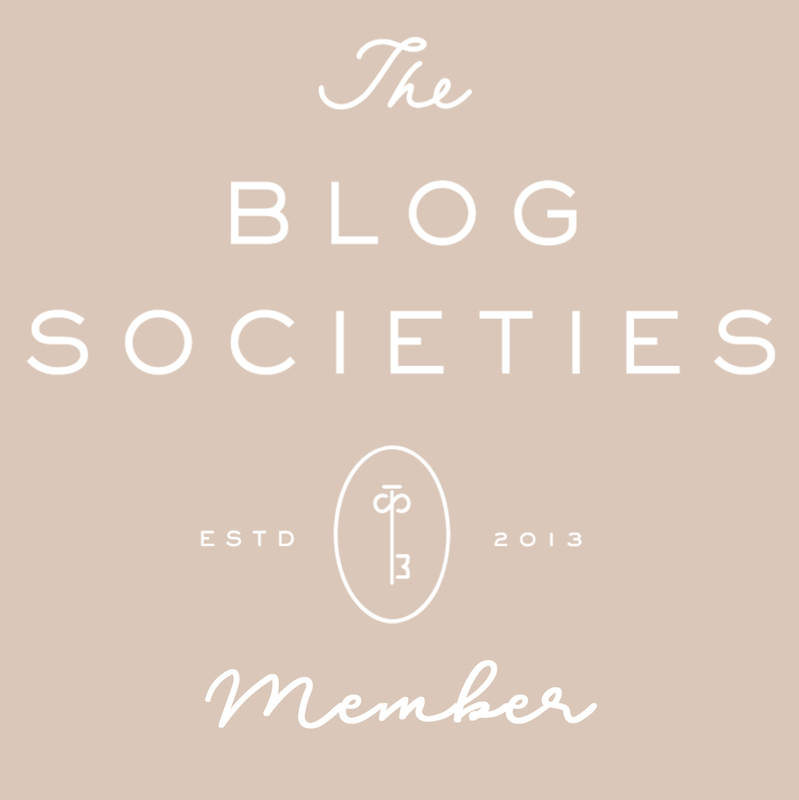 I am excited because I have so many similar options for you guys that I have linked below. I hope everyone had a wonderful Thanksgiving. We had a rather abrupt ending to ours. On Friday we headed home from Virginia. About an hour out of town our car broke down on the side of the interstate…at 9 o’clock at night…near the Mall of Georgia! Not only is this about an hour away from our home, the traffic was horrendous due to Black Friday shoppers. Luckily, we have some friends that live on that side of town that were able to come and rescue us. Thank you Brooks and Elizabeth!!!!! We had our car towed to the dealership to find out that there was no oil in the vehicle and that our 7 year old GMC Acadia needed a new engine!!!! You guys we had the oil changed 1,000 miles ago. We have had so many issues with this car. Things constantly break on it, and I lost count on how many times it has been recalled after the 5th notice. We have decided not to get it fixed because it honestly isn’t worth it. We would rather make a down payment on a vehicle that we can trust. Needless to say that we will never own another GMC after this experience. Good riddance! Now that we are in the market for a new car, I would love to hear any recommendations from you guys. We will probably get another crossover vehicle so that I can haul my kids around. We also love to travel so I need it to be a road warrior that will last longer than 7 years. Any help you guys can give would much appreciated! Sorry to hear about your car Blaire:( This vest is such a classic piece & love how you styled it! Your issues with the GMC sound so annoying! I’ll definitely avoid them when buying a car. What a way to end Thanksgiving. So sorry – car problems are so frustrating! I had many Honda’s for many years – and loved their reliability – but last year got an Audi SUV – that is supposed to be just as reliable – and so far (25K+ miles)- it has been great with no problems (and so comfy to ride in). Oh that stinks, I am so sorry that happened to your car and that GMC didn’t take care of it – seriously they should be replacing the engine, that’s absurd! We always buy Hondas and they have been fabulous. Years ago the transmission died on my Honda (it was 8 years old at the time) and Honda replaced it and gave me a rental car. My boys drive our old 2003 Honda Pilot that has close 200,000 miles on it and it still runs great! I hope you find something that works well for your family! This is such a cute look, I hate car issues. I have a toyota and it has never broken down. For real NEVER! I do take good care of it and do my services on time. So sorry to hear that!! Car trouble is seriously the worst. But your vest is so cute and I love this whole outfit! 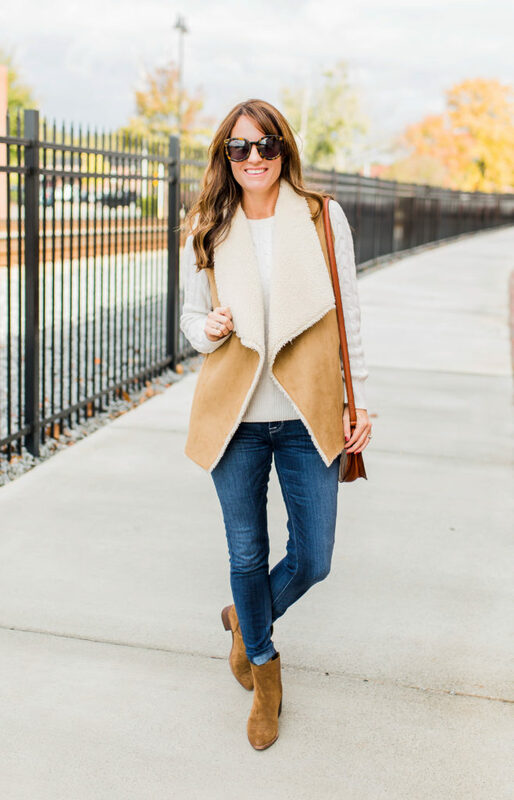 This vest is TOO adorable and so chic! And omg I’m so sorry to hear you guys had car trouble! What a nightmare especially during all the busy holiday traffic! Glad y’all made it home safe and sound! Last year for our bigger car Steven and I got a Ford Escape and we really like it! My parents also have a Toyota Rav4 and it’s SO nice–plus I feel like Toyota’s are super reliable! What an unfortunate ending to your thanksgiving! But at least it wasn’t too terrible of a situation. I hope you have fun car shopping. I’d make a list of what is most important and stand by it. Don’t let pushy salesmen pressure you into getting a car you don’t really want! I hate dealing with car repairs and all the money you invest in them! But we have to have them to get around!! Love your outfit – so cute! This vest is so fab! I searched for one last year and never found one I loved. I’m going to have to check out your suggestions! So sorry to hear about your car. I love my Toyota Highlander! Good luck with the car shopping! Oh man that stinks! Car trouble is the worst and even worse when you feel like you’re constantly fixing something! I’ve had a few toyotas and love their reliability, never had any issues! 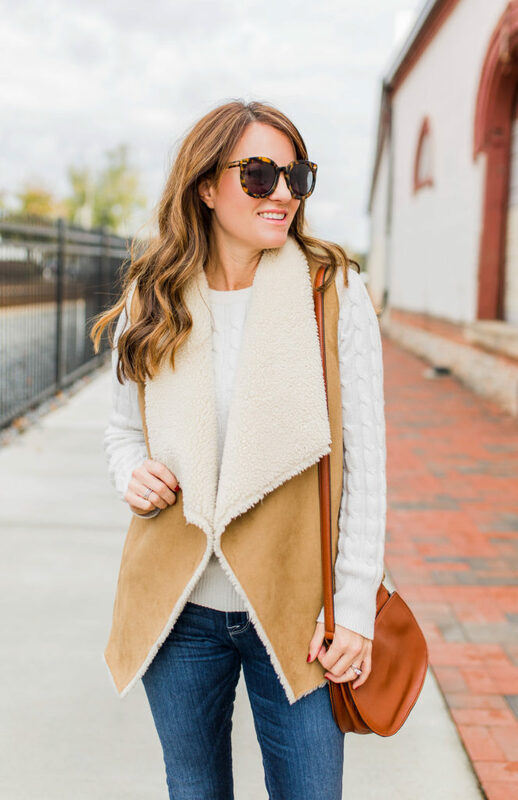 Love this cozy sherpa vest! 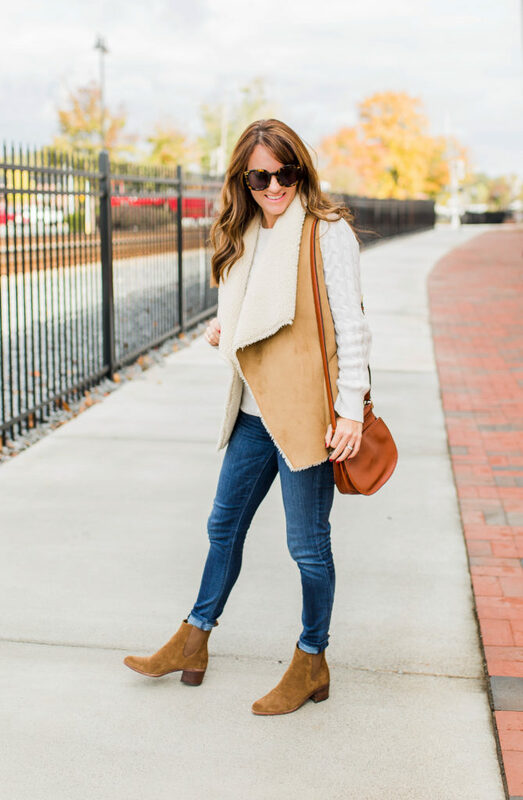 Vests are great investment pieces, so versatile and perfect for layering, one of my favorite winter looks! I absolutely love this look. 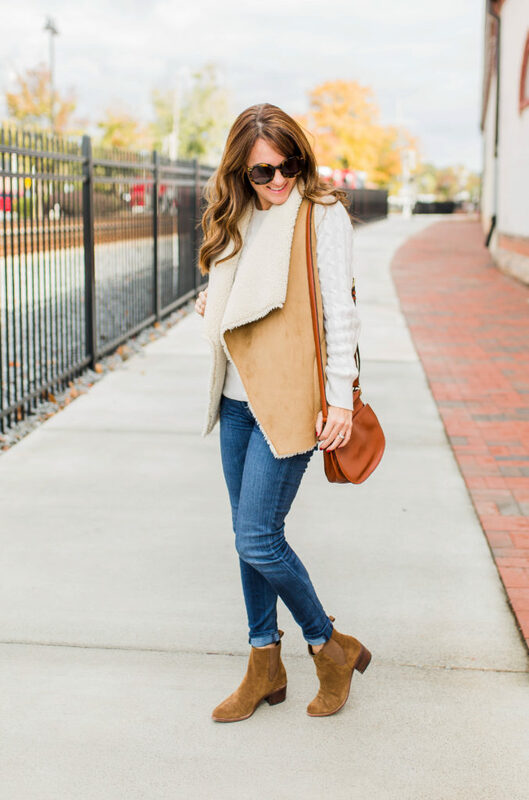 I own a sherpa vest and wear it all the time too…it is so warm and goes with everything. That sounded terrifying about your car. We have always purchased GMC too and seem to have had a lot of problems; nothing as serious as yours though! We are also in the market for a new car so I’m anxious to see what you buy. Absolutely loving this look dear! That sherpa vest is such a classic style, and never gets old. 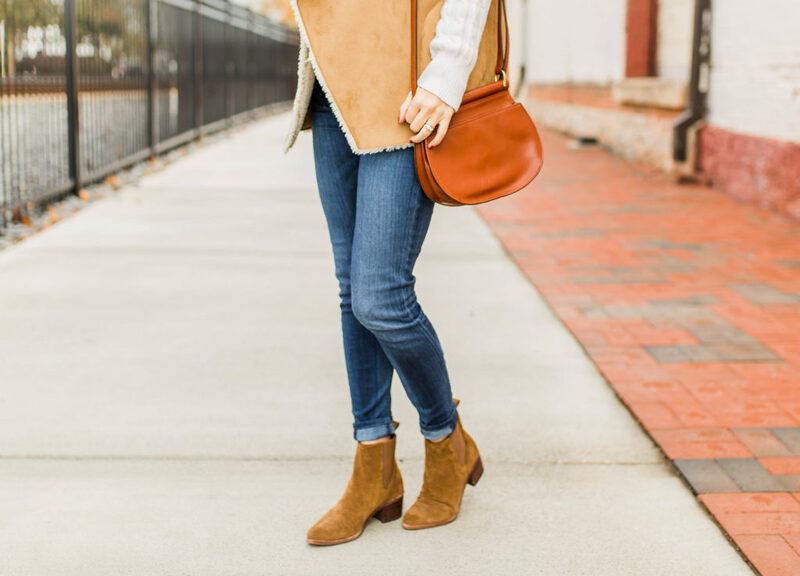 You paired it perfectly with those ankle boots and of course, blue denim.